Following the podium finish at round two of the European Le Mans Series season at Imola in May, Lanan Racing has been forced to miss round three at the Red Bull Ring, Austria. While missing the event will allow the rest of the LMP3 field to score championship points without reply, it also gives the team a fresh opportunity to continue to develop its new Ginetta-Nissan. It will also provide more time to improve the car's reliability, which has beset each of the new LMP3 teams. 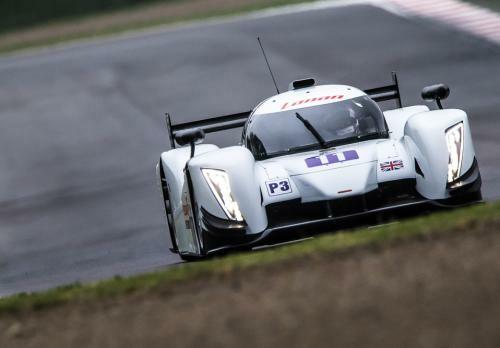 Lanan Racing has qualified on the front row in both rounds one and two, the fastest of the non-factory LMP3 squads, but reliability gremlins have hampered progress in both races. A maiden podium was secured at Imola by Alex Craven and Mark Shulzhitskiy, while a number of teething problems at the home round at Silverstone in April drew an early retirement for Craven, Joey Foster and Charlie Hollings. Team manager Graham Johnson said: "We were thrust into it a little bit at Silverstone, receiving the car so late on the Thursday evening. Missing Austria is a shame but it will give us more time to take stock and address the inherent issues with the car away from the short sessions of a race weekend. "We know the car has the pace, Alex, Mark, Joey and Charlie have shown that by being the closest to the 'factory' teams straight out of the box. We will make the most of this time to iron out the reliability troubles and unlock the car's full potential. We are confident that we will be back stronger than ever at Paul Ricard to close back in in the championship." Drivers interested in joining the European Le Mans Series with Lanan Racing can find out more information by contacting Graham Johnson.